Our core product will always be our coffee and this is where we start from. With a wealth of direct roasting experience we set out to create a range of blends specifically for the modern market and tailored specifically for the coffee making equipment that we supply to deliver your cup – a totally unique approach that we are proud of. Because we offer a range of solutions, naturally we have and will continue to develop new blends. Our coffee range includes 2 types of espresso, Argie's Premium a blend of South American, Brazilian and washed Robusta, which gives a good lasting crema for espresso and cappuccinos very rounded in taste. Argie's Extra Strong a blend of Central and South American Arabicas and African Robusta. Strong roast, Blended to produce the finest espresso, cappuccinos and lattes. Full bodied espresso with hints of caramel, and chocolate. We also supply our own brand of filter and instant coffee suitable for all types of catering and vending services. Argie's Coffee supply a range of fair-trade products from coffees and teas through to sugar, chocolate and biscuits. A Fair-trade culture is ingrained into Argie’s Philosophy and under pins our business practices. To go with our coffee we have also sourced tested and adopted a range of teas and hot chocolates that meets Argie's Coffee quality criteria. 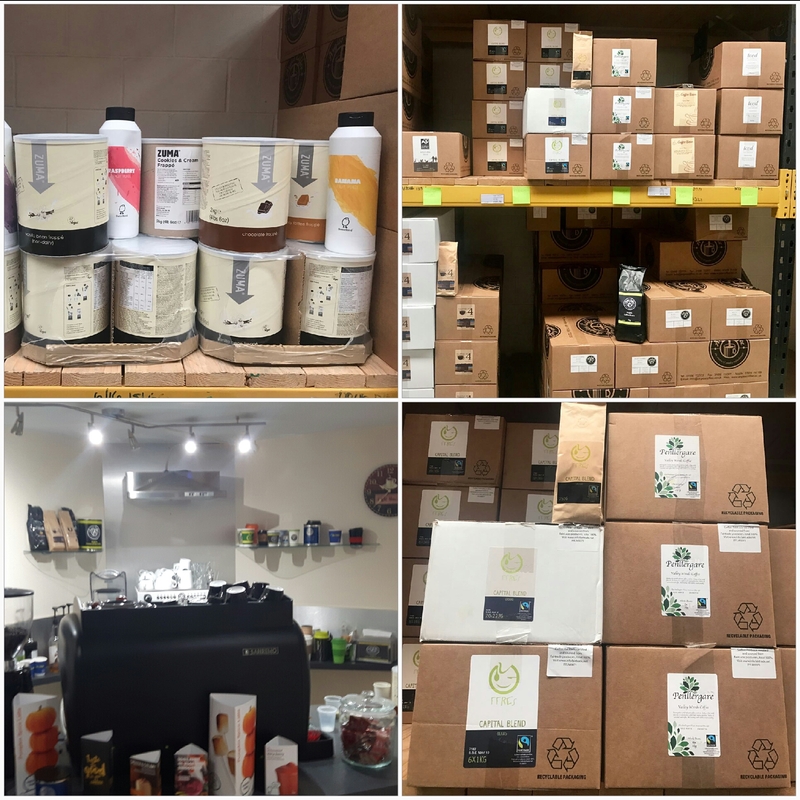 Argie's Coffee provides knockout boxes, tampers, foaming jugs and cleaning products everything to ensure that we are able to react quickly to customers requests.